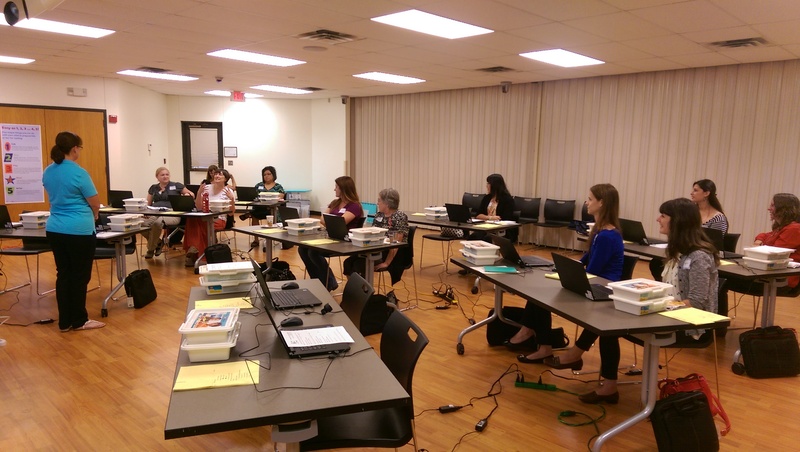 This week we conducted our second training for year 2 of Bots & Books in San Angelo, Texas at the Tom Green County Library System. 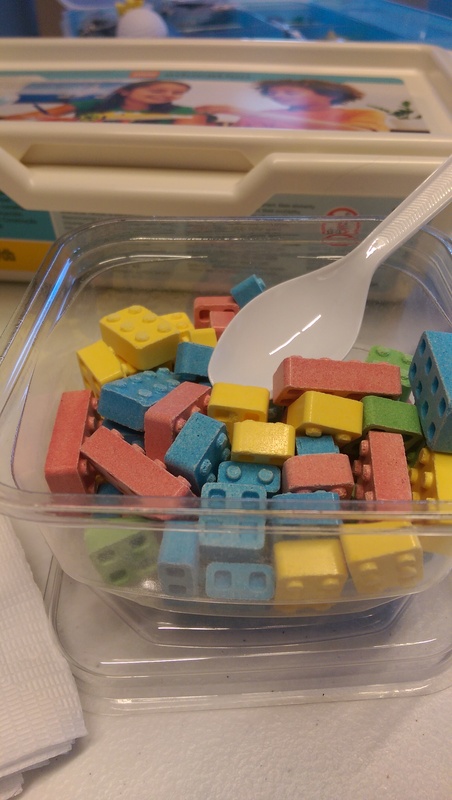 I brought these Lego candies for an afternoon pick-me-up. They actually click together! They taste a little like Smarties. Another day packed to the brim with information, but our librarians were real troopers and made it through with a smile. 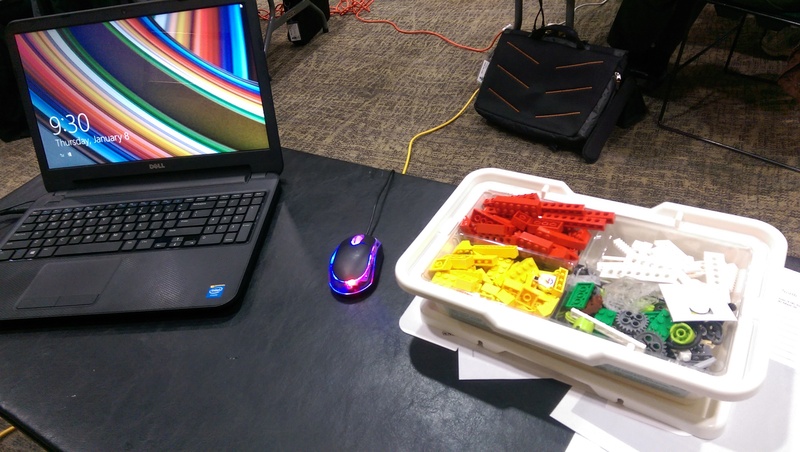 This stuff can be intimidating and difficult for those who aren’t comfortable with technology or who haven’t played with Legos in a few decades. Here are some of the cool builds we worked on! 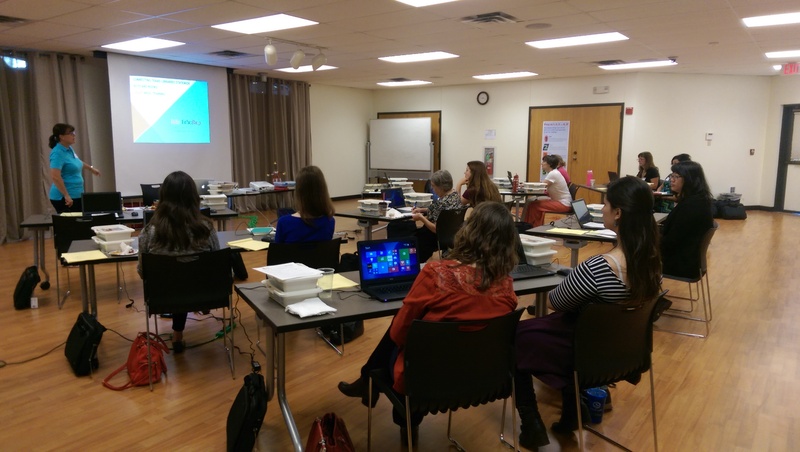 Next week I will be speaking to another pocket of libraries in north east Texas about our fantastic Bots & Books grant! Only one more training to go! Our new grant fiscal year started September 1st and I have been really busy getting the second year of the Bots & Books grant up and running! 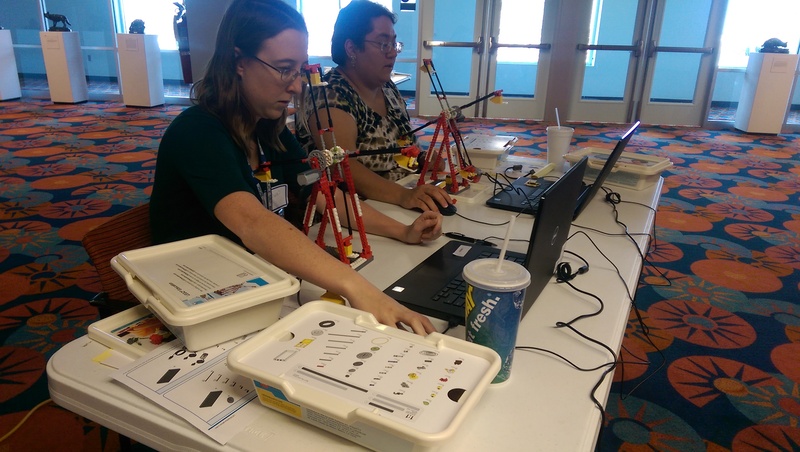 This grant allows CTLS to provide the equipment and training to help get public libraries all over Texas started with robotics programming for youth patrons. 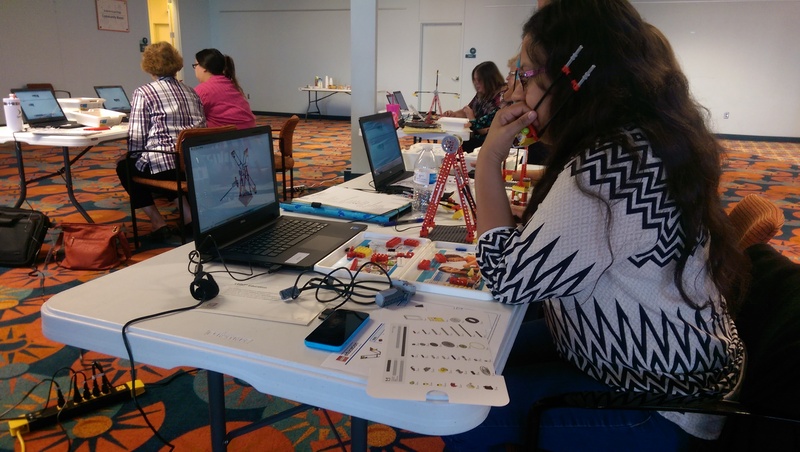 STEM library programs are becoming so popular (and necessary! 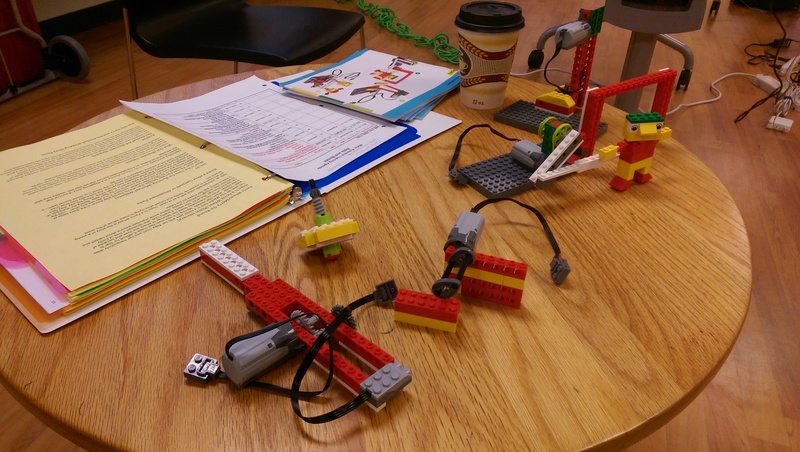 ), but many librarians are intimidated by the word robotics. It is expensive to get into and there is a learning curve to the content. That is why CTLS created this grant. 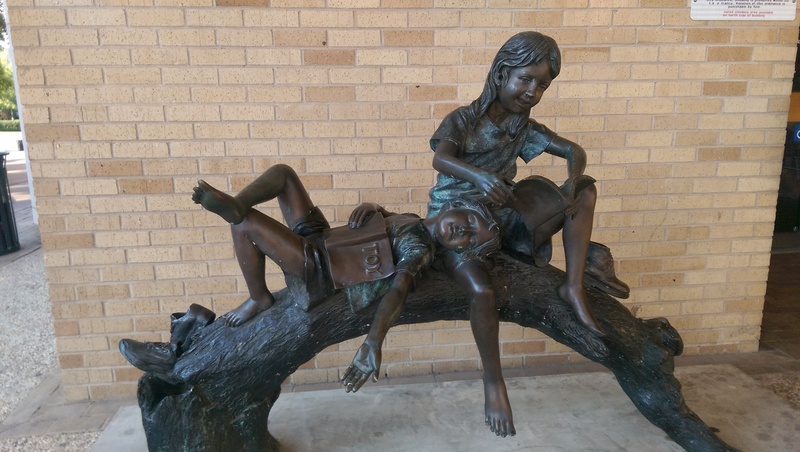 It helps libraries who don’t have the initial budget by providing all the equipment needed to begin. 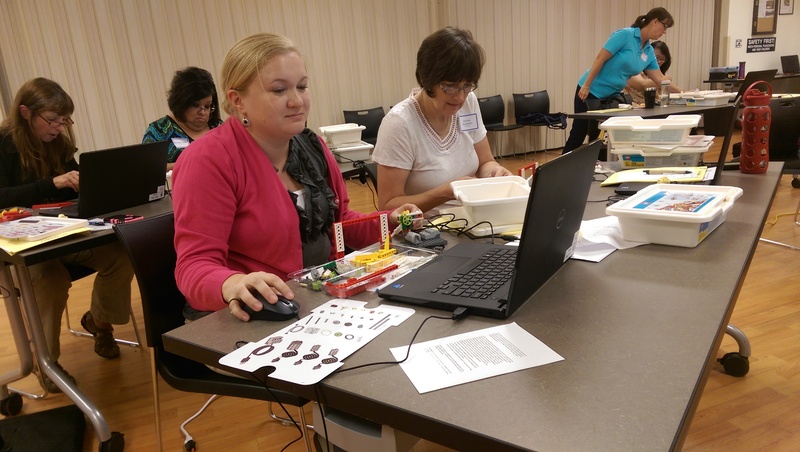 And we train librarians on how to use the equipment, provide them with ways to tie robotics to literacy, and consult with them on ways they can grow and sustain their robotics programs beyond our grant year. 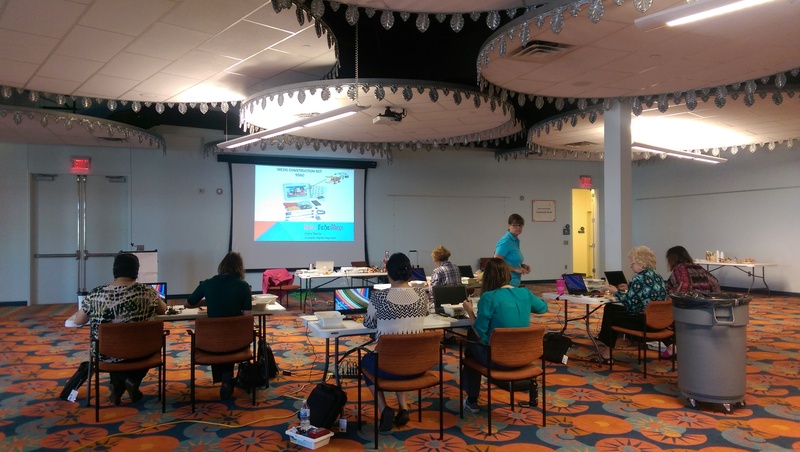 By the end of this grant year I will have worked with 26 libraries all over the state! 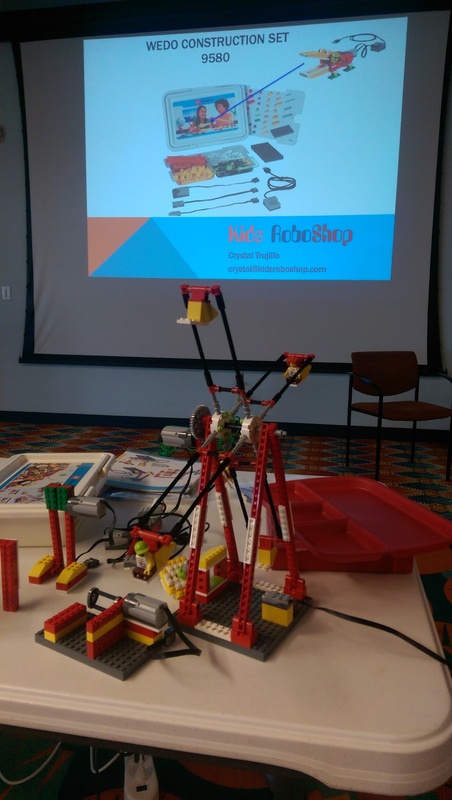 Here is a robot I built to show off at our upcoming CTLS Membership Meeting. 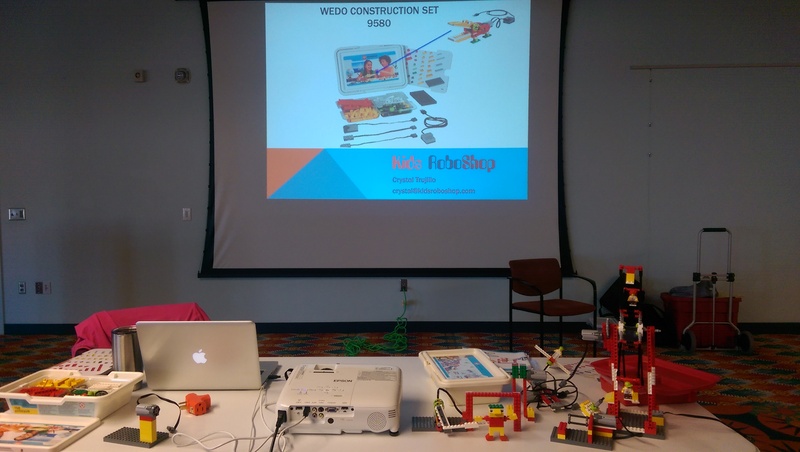 Not only is this programming important for small communities that may not have other avenues for this kind of experience for children, but it is yet another way for libraries to serve their communities. We can provide fun, informal educational experiences for our children and their families at not cost to them. 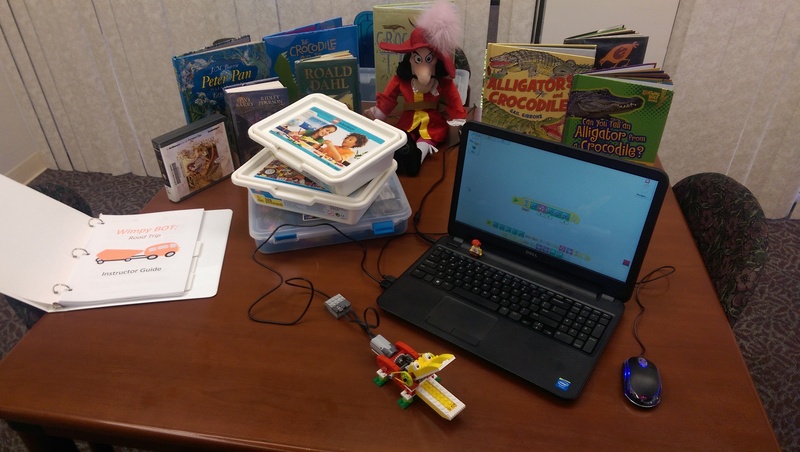 While I was sitting in a session on STEM programming at TXLA15, I jotted down ideas for a session dedicated to talking about robotics programming in public libraries that I hoped to present at the next TLA annual conference. 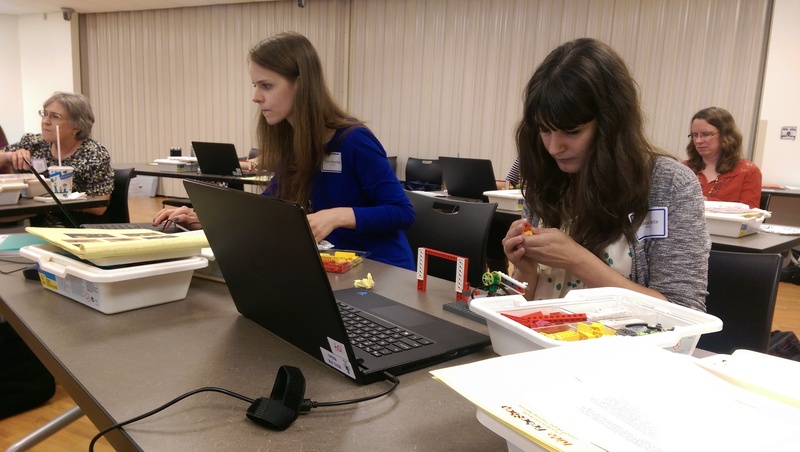 I ended up developing it into a proposal and sought out individuals from public libraries in Texas with robust robotics programs to join a panel to talk about what they have been doing. 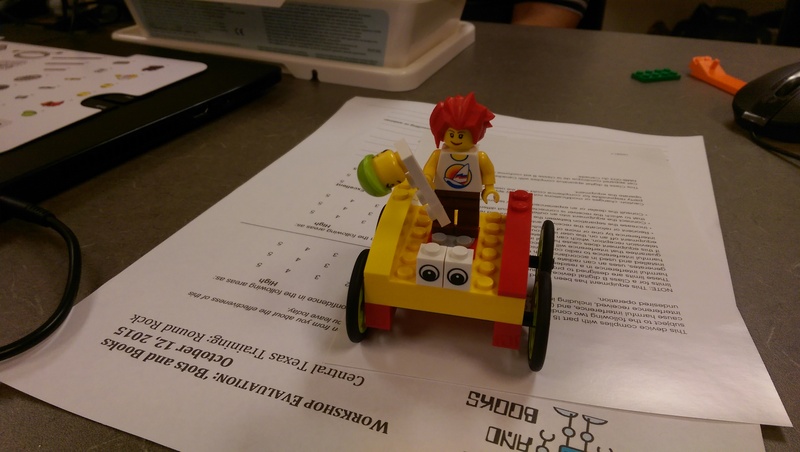 I submitted my proposal… and waited. I just got word that my proposal was picked up by the Young Adult Round Table and is going to be pitched to the conference planners at Annual Assembly in July! I should hear back then if the program proposal will be accepted and sponsored. Fingers crossed!